Pollinators are some of the most important animals to humans on the planet. It’s estimated that about 75% of the food you consume was produced by the aid of a pollinator. Across the globe, pollinators are in trouble due to habitat loss, mass pesticide application, and climate change. What most people don’t realize is that their gardens are the most important factors in conserving pollinators and giving them a fighting chance at survival. A pollinator is an animal that moves pollen from the male parts of a flower to the female parts of another flower of the same species and fertilizes that plant to produce the seed parts of that plant. What does a Pollinator Garden Need? Nearly all pollinators feed exclusively on pollen & nectar from flowering plants. Finding the right combination of plants that bloom Spring, through the Summer, and into the Fall is important. Some pollinators like to migrate, so having Fall blooming plants is an important food source for these creatures. Every butterfly species has a plant specific to them that they will lay their eggs on. The caterpillars will hatch and feed only on the leaves of this plant until it pupates and emerges as a butterfly. Butterflies across the globe are facing huge declines due to the loss of host plants in their environment, but it’s very easy to save and conserve butterflies by simply planting their host plants. For more info about this topic see our Butterfly Host Plant page. 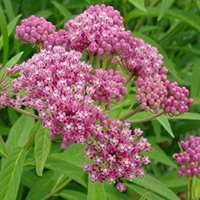 The most common example when thinking of host plants is the Monarch Butterfly and Milkweed. It takes Monarch Butterflies 4 generations to migrate from their wintering grounds in Mexico and vice versa when they migrate North to their summer grounds. It is said that the winter roost for Monarchs is set to collapse within the next decade, but this is easily preventable if you plant milkweed in your yard. Almost all pollinators are cold-blooded, so your pollinator garden will need to be placed in an area that gets FULL SUN (~8-12hrs) to keep them warm and at full pollinating potential. Also, most pollen/nectar-producing plants require full to part sunlight in order to grow properly. Most plants that pollinators feed on are very fragile to high winds, so it’s best to plant “wind breaks” of larger shrubs to endure the high winds while the pollinator plants, most commonly perennials, can remain without hindering the food supply for your local pollinators. Some shrubs can be good pollinator food sources, so it would be best to use those shrubs as your wind break. Pollinators in South Carolina evolved millions of years ago to feed on the native plants in the native environment, as well as the native plants of South Carolina evolved to have specific pollinators transport their pollen grains to plants of the same species. If you want your yard to “buzz” with pollinators, planting native plants should be at the top of your list. Not only do pollinators feed on the nectar provided by annuals & perennials, but certain shrubs & trees produce flowers in need of pollination. Almost all fruit-bearing plants need pollinators to produce a good crop. 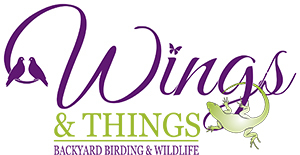 By planting native plants and attracting a vast diversity of pollinators to your yard, you also attract their predators like birds & lizards that you can enjoy watching in your backyard. 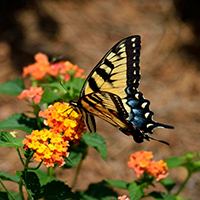 Touching back on Butterfly Host-plants, almost all host plants are native species in South Carolina, therefore in order to sustain a healthy number of butterflies in your yard, you need to plant their host plants!